5 wheelchair vans, all with tail lifts. Only take bookings on the day! 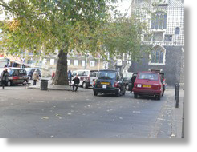 S.165 of the Equality Act 2010 requires that drivers of taxis/private hire vehicles may not make extra charges for wheelchair users, and therefore if the meter is running while loading takes place and this takes longer than an able bodied passenger, then the wheelchair user would be being charged more and therefore potentially an offence is committed by the driver. If anyone has any specific complaints to make regarding individual drivers they can email them into CCT via info@norwich.gov.uk . As a result of this legislation we have seen Enterprise Taxis withdraw their wheelchair service as from September 2018.